A new poll showing that a majority of Miamians support a normalization of U.S. ties with Cuba has drawn a lot of excitement in the media, as the poll's organizers and many pundits predicted that the survey will have a big impact on U.S. policy toward the island. Unfortunately, I don't share their optimism. After reading the poll's fine-print and talking with some Washington insiders, I'm not that sure that Washington - especially the U.S. Congress, which holds the key to making major changes in U.S. policy toward the island - will be much moved by the survey's results. The poll, released earlier this week by the Atlantic Council, found that 56 percent of Americans - and, surprisingly, 64 percent of Miamians - favor changing the current U.S. policy on the island. "This survey shows that the majority of Americans on both sides of the aisle are ready for a policy shift," say Peter Schechter and Jason Marczak, the top officials of the Adrienne Arsht Latin America Center of the Atlantic Council, which commissioned the survey. "Most surprisingly, Floridians are even more supportive than an already supportive nation to incrementally or fully change course." Problem is, we've heard this many times before. And, like other similar polls that showed an increased support for easing U.S. economic sanctions on the island, the Atlantic Council survey was conducted among the general population - not among likely voters. That's a big difference, which Washington politicians look at very closely. In 2009, a poll by Bendixen and Associates found that only 47 percent of Cuban-Americans supported the U.S. embargo on the island, down from 82 percent in 1992, and from 62 percent in 2005. But again, those were polls conducted among the general population, not among likely voters. On Wednesday, I called Schechter and Marczak and asked them about the poll's methodology. They confirmed to me that, in fact, it is a poll of the general population, but emphasized that more than 90 percent of those surveyed - both nationally and in Florida - are registered voters. Still, the poll did not ask questions that would give us a hint about whether these registered voters are likely voters. "If we were running an election, we would filter by registered voters, or by people who intend to vote," said Schechter. "But this is an issue campaign, and when you do an issue campaign, you try to poll everybody." 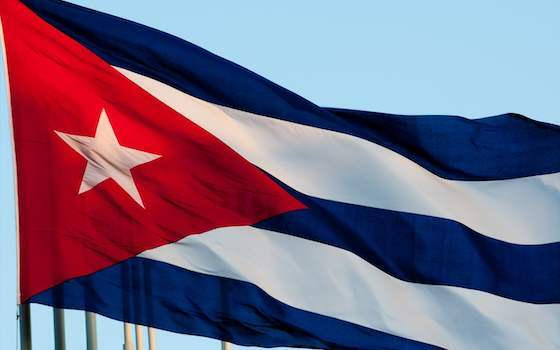 But both Republican Cuban-American legislators, who tend to be the staunchest supporters of U.S. sanctions on Cuba, and their Democratic counterparts say the poll is not likely to change their pro-embargo stand, nor that of Congress. "I don't see the poll as changing the public policy of the Congress of the United States," Sen. Bob Menendez, head of the Senate Committee on Foreign Relations, told me in a telephone interview. "I see it as another expression of those who want to change the policy to try to create an environment in which they hope the policy will change. But it's wishful thinking." Congressman Joe Garcia, D-Miami, a strong supporter of President Barack Obama's policy to expand travel and remittances to Cuba, told me in a separate interview that the new poll "is meaningless." "We have seen this before," Garcia said. He noted that the embargo is an emotional issue for many Cuban-American voters, and that those who support it tend to vote on it, while those who oppose it tend to cast their votes based on other issues. Garcia added, "There is no will to take this thing on in Congress, because it doesn't add any votes. And politics is a game of addition, not of subtraction." My opinion: The Atlantic Council poll is a serious poll done by serious people, but I doubt that it will have a major political impact. U.S. politicians will not change their minds, because - as Garcia says - opposing the embargo does not add any votes. And Cuban politicians are not interested in a normalization of ties either, because they need to maintain the fiction that they are at "war" with the United States in order to stay in power indefinitely. I would like Obama to continue expanding travel in both directions, because Cubans who come to Miami almost always go back to the island with a more favorable view of the United States than they came with. And Obama should also, by executive actions, expand trade with Cuban businesses that are not run by the island's dictatorship. But I don't expect much more than that to happen until there are signs of serious change in Cuba. "Cuba Poll Won't Change U.S. Policy"